You are here: Home / Guitar Effect / Top 3 Best Overdrive Pedals For Metal !! It has been almost half a century since metal was introduced by Led Zeppelin and Hendrix. Have you ever thought about them to be the forefather of heavy metal? If you would backtrack and listen to their popular songs, you might say that it won’t even come close to the modern metal music. It just kind of lacks that full and heavy shreds and screeching solos. It can be quite a bit dull until Black Sabbath took the front line. 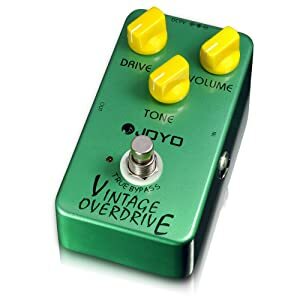 Can it be attributed to having the best overdrive pedal for metal? Well actually, during those times, overdrive pedals are not that popular. Artists usually just crank up the volume and overdrive their amps to get that heavy and dirty distorted sound. Lucky for us, we can emulate their tones with the best overdrive pedal for metal. Below is a list of three of the best overdrive pedals for metal. I hope it's useful for you! We will carefully examine their function, sound quality, and best use. Ready? Let’s go! 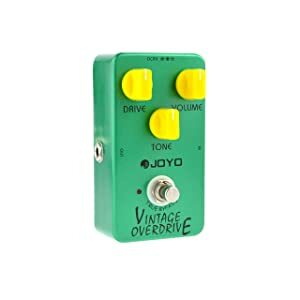 Joyo’s JF-01 is a fantastic effect that copies the sound of an overdriven amp at an affordable price. It is encased in a metal enclosure for maximum durability. The controls are straightforward and easy to use even for beginners and intermediate musicians. It has three yellow knobs which have an excellent contrast with its ocean-green body. Personally, this is quite a good contrast, especially in a dark environment. Each knob has its function for adjusting volume, amount of drive and tone. It also features a LED indicator to tell you if it is active or bypassed. It’s compact and does not consume a lot of space in your bag. It can operate on battery and standard DC power bricks. DigiTech will not be left out in the metal genre. The creation of TL-2 has given musicians better control over the raw signal. This means you can fine-tune your tone before it is sent to your output! It has four knobs where others only have three. It has a volume knob, a gain knob, and two knobs for your tone control. One of those two knobs shapes your high and low frequency. The other one gives you control over the mid-tones. It also has a toggle switch for tight or loose frequencies. Setting it at loose offers more gain and emphasized low-frequency signals. 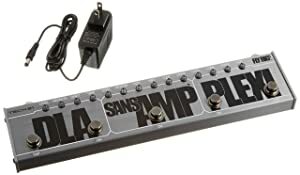 This is quite a great option and makes your pedal versatile. On the high end, Tech 21’s Fly Rig 5 is packed with amazing goodies. It costs a lot more than the other two but makes up with its features. Its controls are much more complicated since it showcases five effects in one which makes it a candidate in the best overdrive pedal for metal. 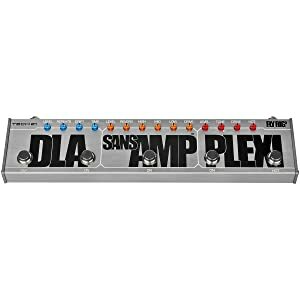 The SansAmp gives you a three-band EQ, a drive and amp simulator. This means you can leave your amp at home and just plug it over the PA system on your gig nights. It is like all the essential pedals you need to be packed in a single strip. The amp simulator has a control for reverb which is cool for me. I can’t imagine playing music without a hint of reverb. It just gives music more character when it sounds like bouncing on walls for me. The distortion effect provides you with a good drive to bring out that dark tones for metal, and the delay gives you more style. If that’s not enough, they added a boost control that gives you up to 23db! This effect comes very usefully when soloing. It gives you more volume and more emphasis on those face-melting solos. It can be quite overwhelming for beginners with the number of knobs present in a single strip. But when you get the hang of setting it up and dialing your tone, it lessens your time setting up on stage! 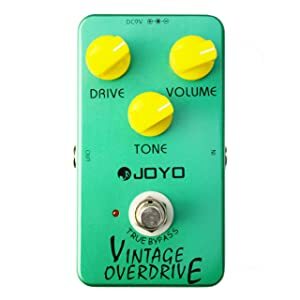 Joyo’s JF-01 is a decent pedal that projects a really nice crunch when the gain is dialed at max. 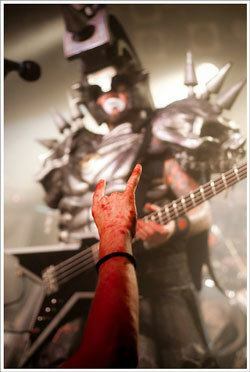 It lacks some heaviness and grungy feel which is a characteristic of metal. Overall, it can perform well on its own, but its potential can be maximized when mixed with a chorus and reverb. You can definitely get that full and heavy distortion with this combo! Overall, it costs much less than the others and won’t hurt your budget especially when you have just begun on your music career. You cannot judge an effect pedal by its size. 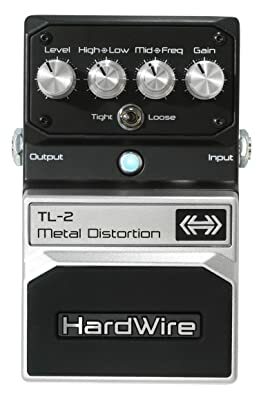 DigiTech’s TL-2 is packed with a lot of heavy metal stuff! I can say for myself that this unit alone can rock your brains out its shell! The loose mode gives you a heavy screeching sound at a small gain. Imagine what you can do when it's set at max? What out for falling roofs! Having two knobs for tone, one for high/low and one for mid frequency, gives you the ability to change the character of your sound. More middle and low provides you with a great presence all over the place and literally vibrates all over the body! This is a great companion for metal fans out there. This alone, a guitar, and an amp is already a good set up for your gigs! To tell you honestly, among the three, this one has a significant edge. Intermediate musicians and experienced musicians can make the most out of it. The amp simulator has an EQ and a drive that lets you control the character of your sound. The distortion is just incredible especially when coupled with reverb. It gives you that grand airy wet hall feel while bathing in shreds of grungy heavy metal. Joyo is a tad bit behind the three but can perform quite well in metal at max gain. Ideal for practice at home! Overall, it is a useful gadget for its price range. After all, it’s not that expensive. This one can be a mainstay on your rig. You can always bring this at your gigs since its portable. You can get no problems playing live with this thing! Whether you are practicing or performing live or even recording, Fly Rig 5 can serve you well. If you can afford this, this one’s a real steal for the convenience you get! Joyo, DigiTech and Tech 21 have created great guitar effect pedals. Each one has its pros and cons. But surely, using any of this will make your music playing experience more fun! If you are recently starting your journey, try and familiarize yourself with the basic things first, like the JF-0﻿1, and learn your way through. In time, it will be easier to dial the tone you are looking for on more complicated strips. 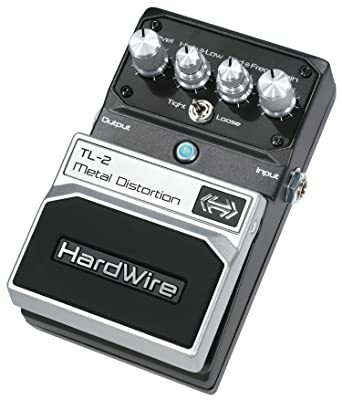 Digitech’s TL-2 is an excellent choice if you have some experience with guitar effects. If you are into some really heavy metal stuff, this one is made to tear the roof. I guess out of the three, it is clear that Fly Rig 5 has won us with versatility and the wide array of a combination. You can get hours of great practice and more hours of fun at performance with this baby!